The Annual Guided Hike in Waverly Park on August 25th | Louisville, Kentucky | Joe Hayden Real Estate Team - Your Real Estate Experts! Get ready for some family fun this weekend that includes man’s best friend. That’s right, Waverly Park welcomes families and their pets to meet at 9am in the large back parking lot at 4800 Waverly Park Road on Saturday August 25th to take a guided hike. There will be trained guides to lead the way and entertain hikers with their interpretative tales. The Waverly Park Guided Hike officially begins at 9am and goes up the Clinic and Twisting Bend Loop trails. 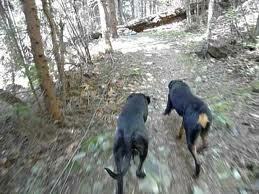 The entirety of the hike will be 4.6 miles, so bring a water bottle or 2 for the trails. Don’t forget some water for your pets too. Plus, all the dogs that attend this free event will be receiving a sample of Milkbone Trail Mix for Dogs while quantities last. Try to be there early so your family friend gets that extra snack. Now if the hike does not appeal to your family and pets, there are plenty of other great things to do at Waverly Park. The 300 acre area has been a part of Louisville since 1964 and offers a picnic area with grills, a fishing lake, hiking trails, and mountain biking trails. Your family can spend part of the day relaxing by the lake throwing ball with the dog or bike around the area for exercise. Wrap up the afternoon with dinner on the grill and watch the sun set over the water for a perfect end to the day. 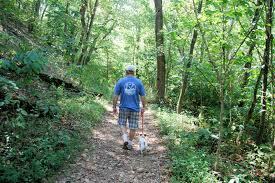 The Guided Hike at Waverly Park is an event organized yearly to allow families and pets to bond together in nature. To learn about more other great events in the area, please visit Louisville Homes.